AAA Appliance Service Center specializes in residential and commercial oven repair service and repair of all major appliances in the Suburban and Chicago metropolitan area. AAA offers residential oven repairs services on the following brands: Dacor, Bosch, Wolf, KitchenAid, Thermador, Chambers, BlueStar, Electrolux, AGA, and Jenn-Air. Have an other brand? Call us at (888) 966-1950. AAA℠ offers commercial pizza oven repair services on three of the four major types: The Pizza Deck Oven, The Pizza Conveyor Oven, and the Pizza Convection Oven. Some of the brands of these ovens are: Blodgett, Baker's Pride, Vulcan Hart, and Garland. Call us at (888) 966-1950 if you have another brand to discuss service. AAA℠ Also performs oven repair service for commercial toaster ovens for sub sandwich shops, both the front loading type and the conveyor type. Additionally, AAA℠ handles rotisserie ovens. Call (888) 966-1950 for specific types, brands, and models. In addition to residential ovens, AAA℠ also handles other kitchen appliances such as refrigerators, dishwashers, stoves, ranges, cooktops and more. 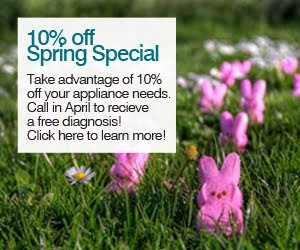 We also handle other common household appliances such as clothes washers and dryers. 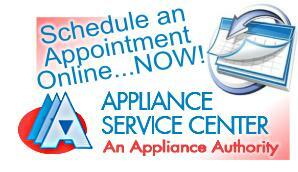 AAA is also one of the few companies that does antique and vintage stove and range repair.